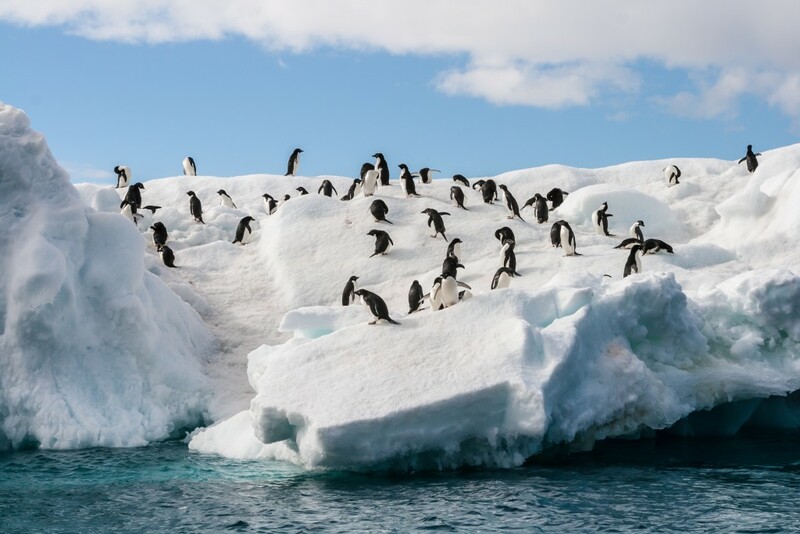 Our voyage to Antarctica leads to being overawed by vast penguin colonies, dramatic scenery and beautiful ice formations with the highlight of the voyage being the landing at firstly Danco Island, followed by a visit to Neko Harbour, in the bright sunshine. Starting the voyage to Antarctica, we were firstly arriving into a blizzard in Ushuaia which did not bode well for the notorious Drake Passage. But a day later and the sun was out and we embarked on the Sea Explorer with high hopes! It didn’t let down. The Drake was indeed a lake and we were joined by a number of seabirds, including waved and sooty albatross for the cruise south. Informative lectures ensured sufficient entertainment for the days at sea. Another day at sea, with a few more waves this time, but the excitement was growing as we made swift progress and the prospect of reaching land, or at least, ice, was nearing. 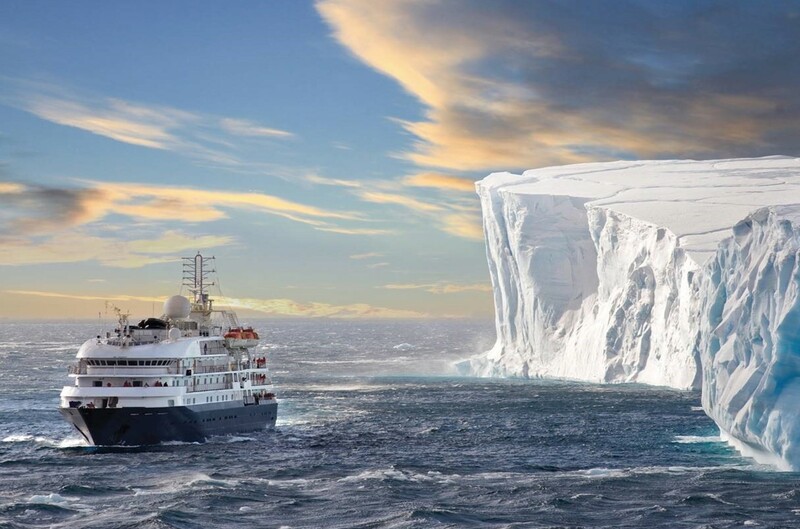 The days went quickly, with plenty of food on offer as would be the case for the whole cruise, as well as insightful lectures and briefings on such areas as Antarctic history, wildlife and science. Useful areas such as photography would also be covered with each lecture and program allowing the expedition staff to demonstrate their infectious enthusiasm. As we neared the land for the first time in 2 days, anticipation grew along with the realisation of finally reaching Antarctica, which would technically be a couple of days off yet. The first landing was set for the Aitcho Islands, so called after the ‘Hydrographic Office’ or ‘HO’. To facilitate disembarkation onto the zodiacs, the ship was split in two groups, port and starboard cabins. The kit was donned – multiple layers, hat, gloves and the vital waterproof outers. The ever-professional expedition staff set out to assess the landing spot. Within a short amount of time and after a lot of excitement, the last of us stepped onto the zodiacs – an easy task on the Sea Explorer with its sturdy loading platform at the stern. A smooth ride to shore and the sight of hundreds of penguins became clear, along with their sound and smell. The sheer number of gentoos and the odd chinstrap penguin made for an incredible experience. Next up was Spert Island, for a zodiac cruise around the towering rockfaces. The cruise only element needs to be prepared for, with no walking meaning a far colder experience than landings. Zodiac cruising meant for a unique experience, weaving between rocks and ice, with a real feeling of being immersed in nature. Seabirds could be seen on the rock faces, while several Crabeater seals were spotted. Having set off in fair weather, the power of Antarctica took over and within a matter of seconds, the sky had clouded over and snow began to fall. Within minutes, the snow was settling on the zodiacs and the red parka jackets soon turned to white. As the time to return to ship approached, the visibility rapidly decreased, resulting in a race to get back, just adding to the excitement as well as the reminder that you are in such isolated territory. 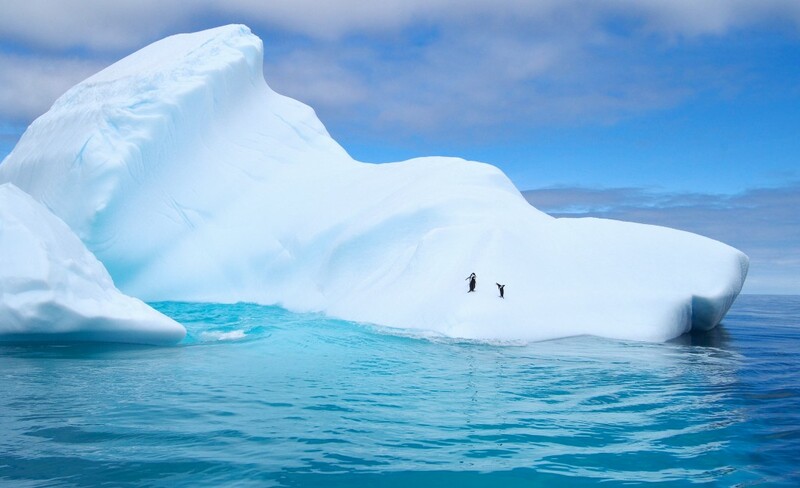 Having already been overawed by vast penguin colonies, dramatic scenery and mass ice formations, we were still to set foot on the Antarctic continent itself. This came at Primavera Argentine Base. As a small landing site there was more of a focus on the significance of first setting foot on the continent, which was celebrated back on board as the Seventh Continent for some. Coming across these buildings, often just a few small wooden huts, demonstrated the task that scientists face in being based in these isolated territories, without even starting to comprehend the conditions faced by early explorers. The highlight of the voyage has to be the landing at firstly Danco Island, followed by Neko Harbour. Danco offers a large Gentoo colony and stunning panoramic scenery, helped by the bright sunshine – t-shirt weather! The water, lake-like, reflected the mountainous backdrop providing some incredible photo opportunities. The gentoos, as experienced previously, were very inquisitive, approaching us as we sat taking in the scenery. In the afternoon, Neko provided incredible views. The hike up to the lookout was steady but walking poles could be useful. At its peak, sweeping views offered up Neko’s glacier and put the Sea Explorer’s size into context, completely dwarfed by its surroundings. Further voyage highlights were the landing at Useful Island with its far-reaching views and colonies of gentoos and chinstraps; cruising the picturesque Lemaire Channel and the landing at Port Lockroy. The former British scientific base is now a post office and well equipped museum. Deception Island, the caldera of an active volcano, was expertly navigated and provided the landing spot for the much talked about ‘Polar Plunge’. Previously a whaling station and later research bases, the Island offer a lot of history and the remnants of these buildings and structures to show. Having explored Deception Island, the weather had pretty much turned into a blizzard. Still, a good 30 ‘brave’ souls stripped down and ran into the Antarctic waters and promptly back out again. Bragging rights secured, we embarked for some warmth and the go back to Ushuaia over the coming days. The return voyage was choppier than the way out, but nothing too hairy. The time at sea allowed everyone to recap on an unforgettable voyage, sort through the thousands of pictures, and continue to delight in the excellent cuisine. Lectures and recaps continued through the days and evening, with dwindling numbers at high seas, but nonetheless, the expedition staff kept the entertainment running and the crew kept the food coming to a very high standard which could not be faulted. A farewell dinner and speeches were provided on the final night of what was an incredible experience that would be remembered by all. 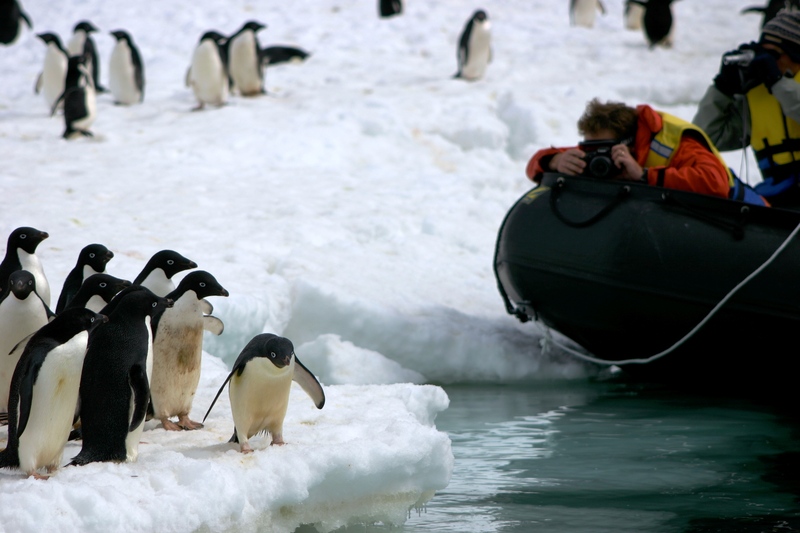 Interested in going on a cruise to Antarctica and experience the trip of a lifetime that you’ll remember forever? Chimu offers a wide variety of voyages to the white continent, for more information click here.